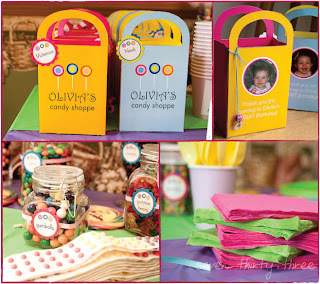 Reminder: Today is the last day to link up your projects to my Christmas in July party! Hurry! You might win a great prize! Blog swapping with Kim @ seven thirty three today. Don’t forget to head over there and check out my post! Hello to all of you creative My Insanity readers! My name is Kim and I blog over at seven thirty three – – – a creative blog. I am a mom to three wonderful kids. I also have an amazingly supportive husband that understands when I am on the computer late at night or crafting throughout our favorite TV shows so that I can share fun things on my blog. What type of things do I share? or all of the fun details from my daughters First Birthday Party. Click HERE to visit my tutorial page. 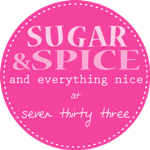 I also have a Sugar & Spice Link Party so that you can link up all of your great girl related projects. AND we can’t forget the boys! 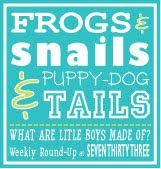 So stop by on Thursdays and share those hard to find boy crafts! If you are looking to have your blog made-over or need an Etsy banner, then I’m your girl. Stop by my design blog, seven thirty three – – – custom blog design, for my portfolio and pricing. What am I sharing with you today? Well, a FREEBIE, of course! When I was 12 and my little brother was 3, monsters entered our home. You know, the monsters with one eye, a snaggle tooth and wiry hair. The kind that hide in childrens closets and under their beds. Yea. That type. 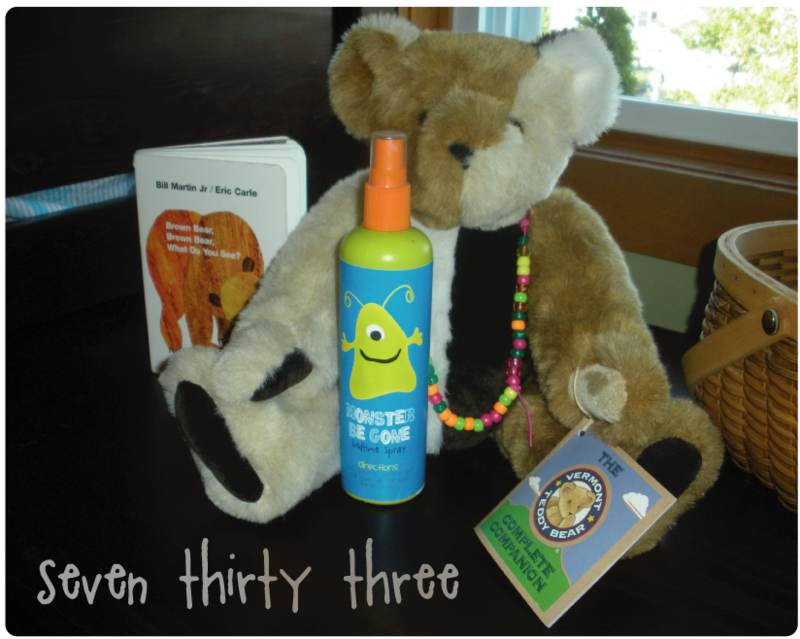 I did use a Suave bottle, but it was my daughters detangler spray bottle this time around. I added water and a little lavendar oil (which is perfect for relaxation). We do two squirts each night before bed. He thinks its fun to spray it up into the fan and watch it blow away AND he loves the smell. I don’t know how much he thinks it repels those Monsters, but it is a feel good thing for him. He enjoys doing it and it is routine now so adds to the stability of his environment, making him feel safe (there’s my Psych major coming into play). For all of you that have a monster invasion, you can download the file to label your own monster spray HERE! Print onto a full page label or regular paper and attach to your monster spray bottle. I hope you will stop by and say HI and Happy Monster Hunting! I love it!! We had the same issue for awhile and my cousin suggested the same thing. Now we just tell him the cats eat the monsters — it works for now. 😉 this is adorable! Ok how seriously adorable is this! I love the idea. I'm so downloading for my neices. Thanks Kim! !